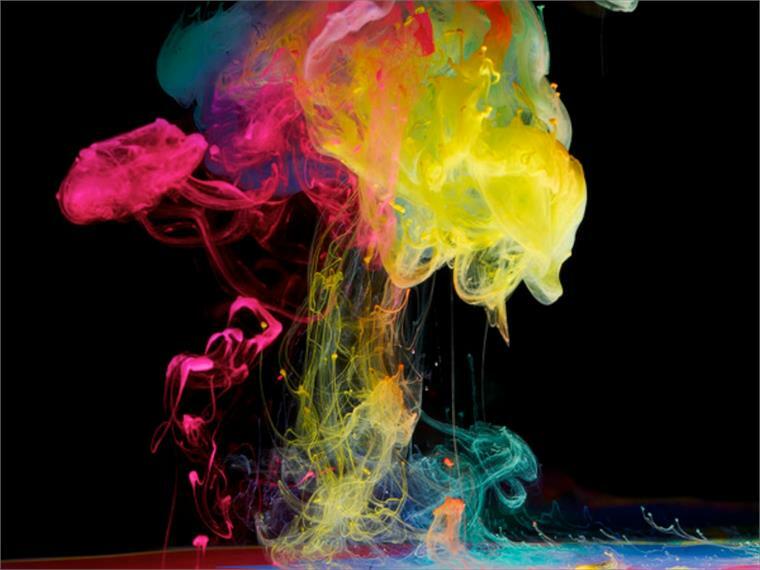 British photographer Mark Mawson has released a new set of images captured by photographing fluorescent inks suspended in solution. Inspired by the vibrant colours used in graffiti art, the series utilises his trademark technique to produce beautiful colour compositions with an ethereal quality. Mawson was profiled in the Stylus report Colour in Suspension, which explores artists using similar methods to produce colourful imagery. 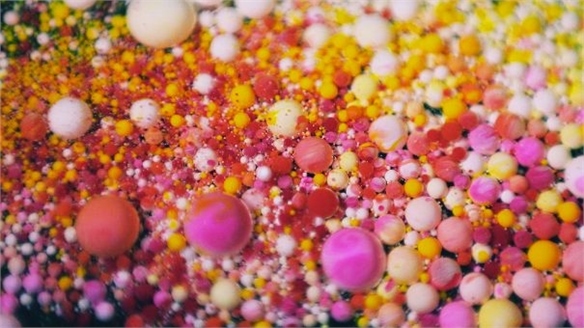 Ruslan Khasanov: Pacific Light Ruslan Khasanov: Pacific Light Russian artist Ruslan Khasanov has created a short film called Pacific Light, which captures multicoloured inks dissipating from bead-like globules into swirling pools of colour. 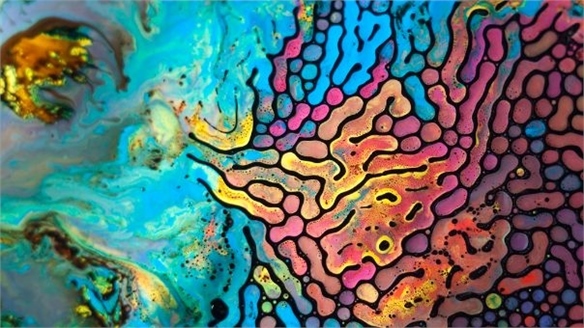 Fabian Oefner: Millefiori Fabian Oefner: Millefiori Switzerland-based photographer Fabian Oefner combines magnetic fluids and watercolour paints in his Millefiori macro photography series. Vega Zaishi Wang: Alpha Lyrae Vega Zaishi Wang Beijing-based designer Vega Zaishi Wang uses electroluminescent fabrics in her latest luminous fashion collection, titled Alpha Lyrae. 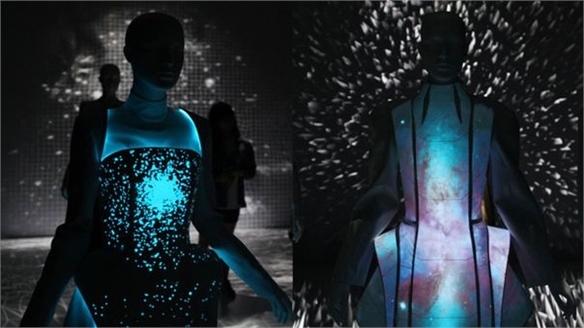 Drawing inspiration from astrological constellations, Wang collaborated with China’s leading multimedia art collective UFO Media Lab to create an immersive 3D environment that showed the illuminated dresses floating in a projection-mapped universe of organic patterns and shapes. 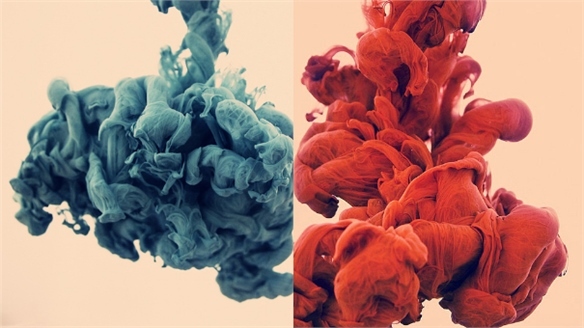 Colour Diffusion Colour Diffusion Smooth gradients that blend several colours together are allowing artists and designers to play with ideas of colour intensity and transparency. Vibrant fluorescent hues and whitened semi-saturated palettes are being used to create popping visuals that often appear hyper-real in their uniformity. 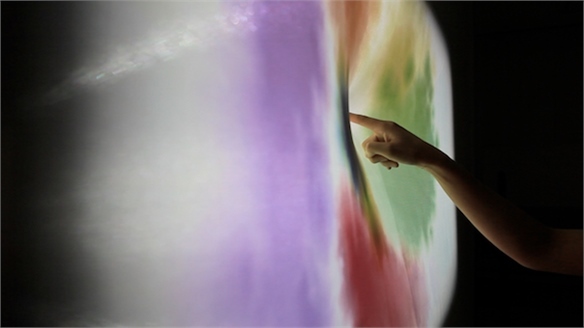 Stylus highlights key projects. 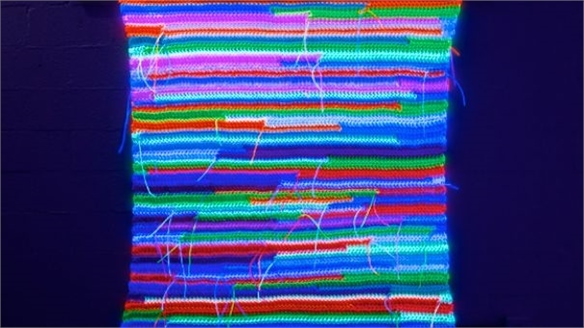 Regine Schumann: Luminous Light Art Regine Schumann German artist Regine Schumann explores the interaction between colour, light, materials and space in her artwork. 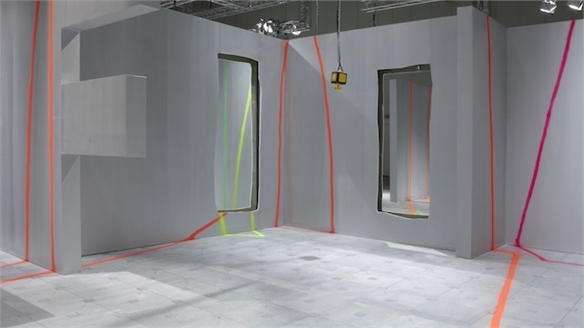 Her wall and floor installations are mainly created using a range of fluorescent and photo-luminescent acrylic glass, or UV-active Plastilight strings. These materials allow the artist to construct geometric and smoothly arched forms, as well as glowing crocheted sculptures. Bronson Caves Photography Series by Brice Bischoff Brice Bischoff Photography American artist Brice Bischoff uses long-exposure photography to create surreal, ethereal images that challenge the importance of physical and temporal space. 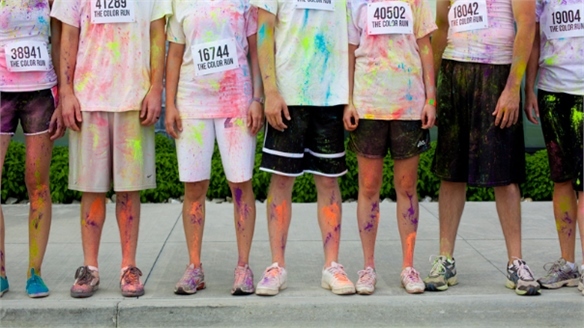 The Colour Run The Colour Run An American colour-focused event called the Colour Run is touring cities across the US during the forthcoming year. Code_n Fluoro Branding Code_n Fluoro Branding The recent Code_n mobile communications and technologies area of the CeBIT annual technology conference, held in Hanover, Germany, harnessed sprayed fluorescent colouring to distinguish its branding at the event. 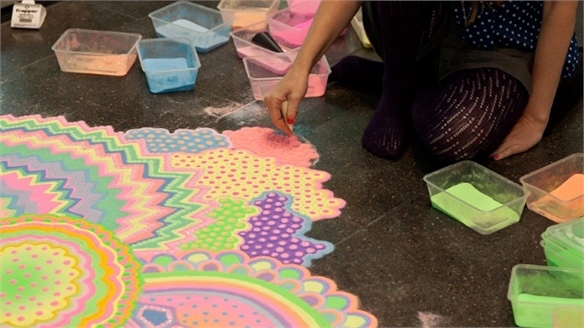 Flourescence Flourescence The National Gallery of Victoria (NGV), Australia recently hosted Fluorescence, a celebration of ultra-bright colour, in its studio space. Neon Stationery by Hay Neon Stationery by Hay Danish design house Hay released a new series of stationery at the recent Maison & Objet showcase. 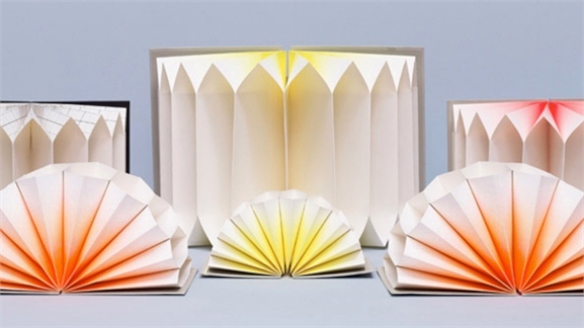 The Plissè archive folders use fluorescent spot-colour printing that varies in density to create interest within the notebook folders’ folds. 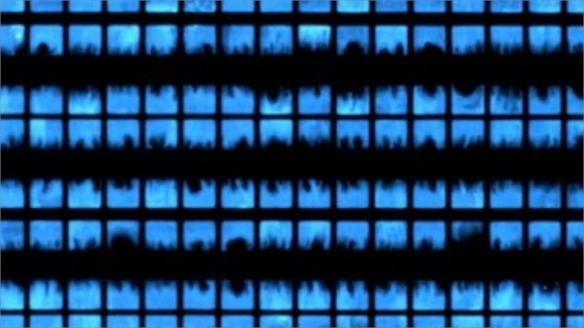 Seiichi Hishikawa: Colors Seiichi Hishikawa: Colors Japanese photographer and filmmaker Seiichi Hishikawa has produced a digital video that connects colour, form and music. Bacteria Used in Neon Lights Bacteria Neon Lights Researchers from the University of California, San Diego have developed a living neon sign that emits light from fluorescent bacteria. Ballpoint Ink Paintings Ballpoint Ink Paintings New York-based artist Shane McAdams creates paintings using ink from ballpoint pens. 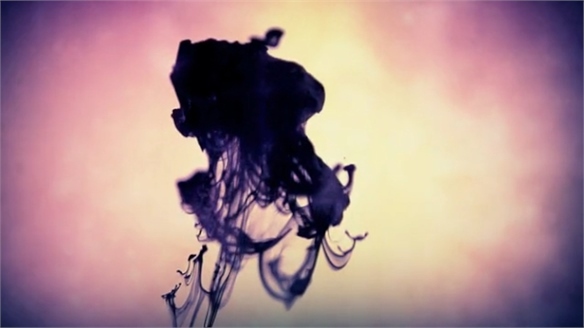 After removing the ink from the pen’s casing, McAdams then heats and dilutes the ink with solvents, allowing it to move across the surface of his canvas more easily. 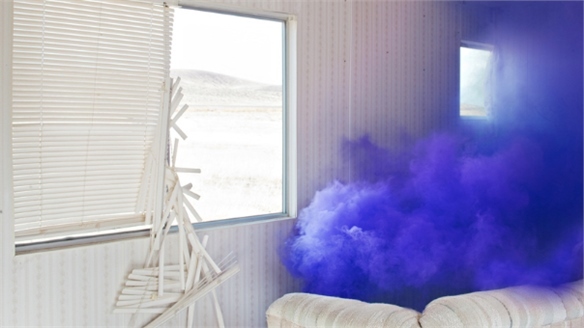 Floto + Warner Captures Coloured Smoke Floto + Warner: Coloured Smoke New York-based photography studio Floto + Warner has captured plumes of colourful smoke released by abandoned buildings in the Nevada Desert in its latest photographic series. 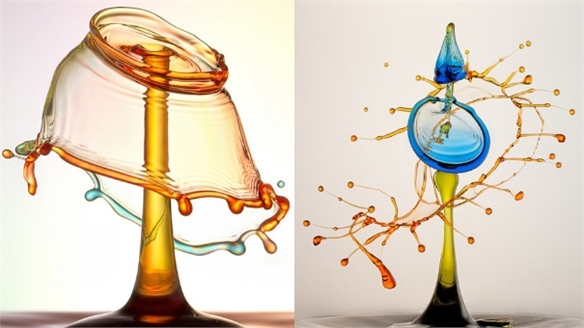 Heinz Maier’s Liquid Colour Heinz Maier’s Liquid Colour German photographer Heinz Maier’s macro photography of coloured water droplets transforms minute events that happen in milliseconds into stunning still-lives. Soak, Dye in Light Soak, Dye in Light Seoul-based computing collective Everyware has reimagined the national fascination with dyes and pigments for the digital world in Soak, Dye in Light – an interactive canvas that responds to the user’s touch by simulating ink spreading across fabric. 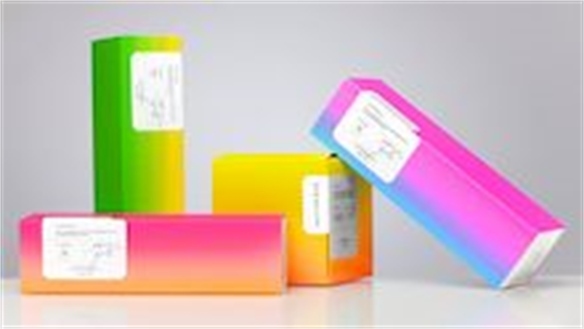 Life in CMYK Life in CMYK CMYK – the abbreviation that describes the four process printing colours: cyan, magenta, yellow and black – is a colour palette that has become a modern design icon in its own right. Stylus explores the foundations of this colour model, and highlights the designers using these four distinctive hues within their practice. 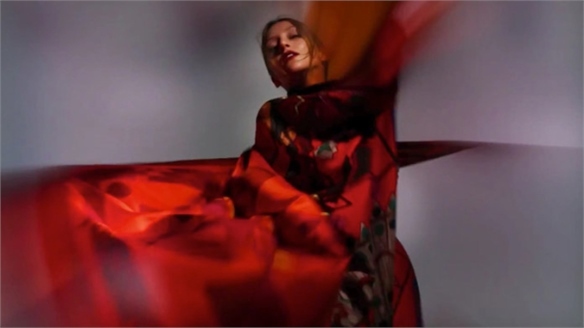 Nick Knight for Hermes Nick Knight for Hermes World-renowned photographer Nick Knight has produced luxury label Hermes’ Autumn/Winter 2011-12 campaign. 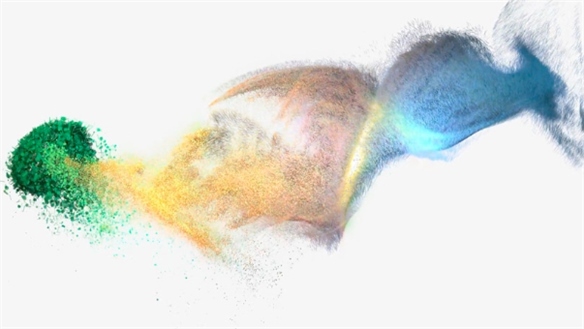 Colour in Suspension Colour in Suspension Colour and texture in free-flowing forms are taking centre stage as designers, photographers and filmmakers look to suspended pigment in search of eye-catching visuals. With a special focus on liquid colour, Stylus highlights the latest creative endeavours to employ this aesthetic with impressive results. 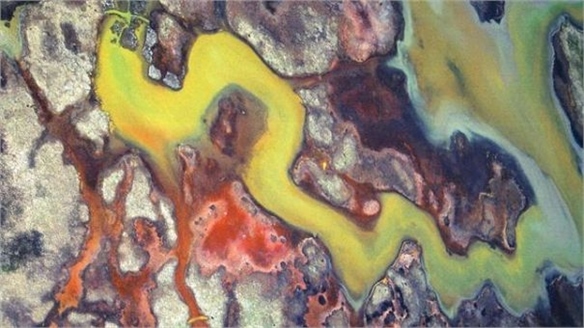 Billowing plumes of colour have become popular in both still photography and moving image, a trend spurred on by technical advances that enable practitioners to capture and display high resolution imagery and rich hues with more precision than ever before. 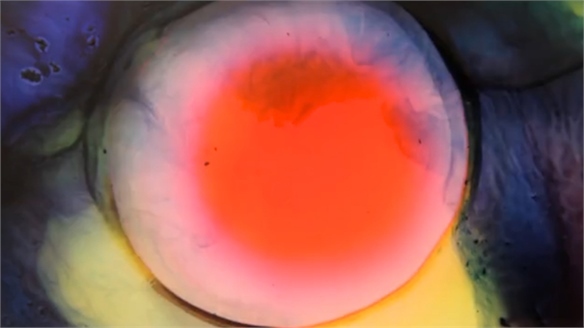 MRRK and Ine van den Elsen’s Psychedelic Colour Psychedelic Colour Dutch studio MRRK and film director Ine van den Elsen have collaborated to produce a hypnotic music video for the electronic track Tunnel by music producer TWR72. 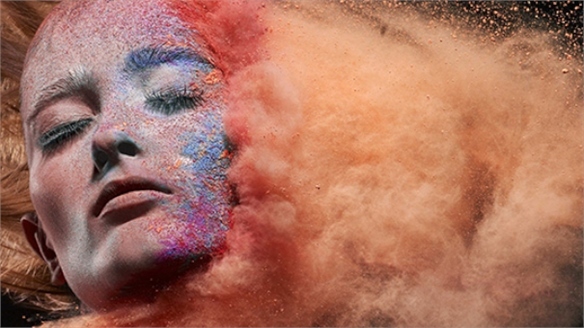 Linda Öhrström’s Explosions of Pigment Linda Öhrström London-based Swedish make-up artist Linda Öhrström creates experimental cosmetic looks for fashion and editorial. 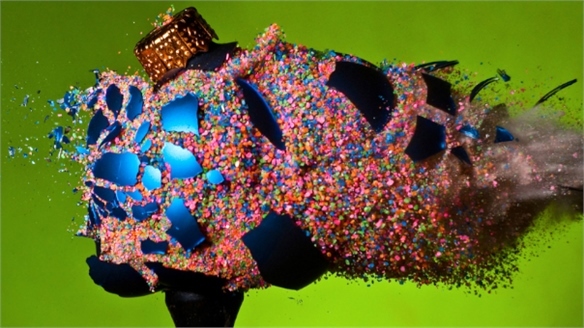 Exploding Colour Exploding Colour Technicolour explosions are becoming a favoured design feature in today’s media, appearing in formats ranging from music videos to experimental photography. 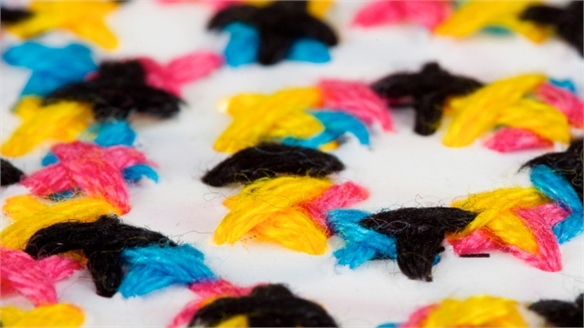 Stylus looks to some of the visual theme's leading lights for colour and texture inspiration. 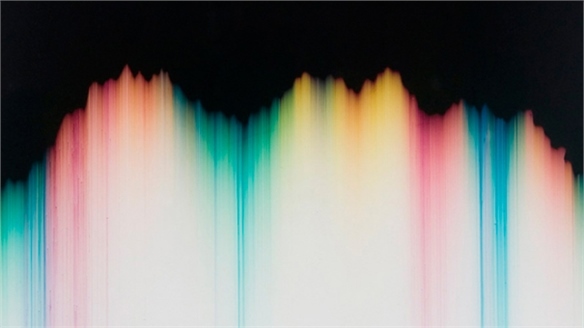 Michael Cina Michael Cina The American art director and graphic designer Michael Cina founded his multidisciplinary creative studio in 2007 and has worked with an impressive list of blue-chip clients including Apple, Coca-Cola, Hewlett-Packard and Samsung. 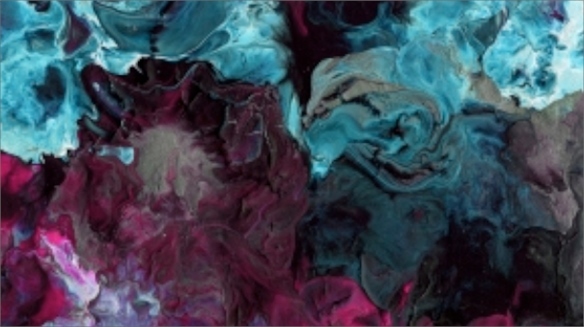 As a non-commercial aspect of his studio practice, Cina produces stunning abstract artworks exploring pigments and processes. Stylus profiles Cina’s artistic process-based practice, highlighting his relationship with US multi-disciplinary media platform Ghostly International and the recent limited edition print series issued by the label. 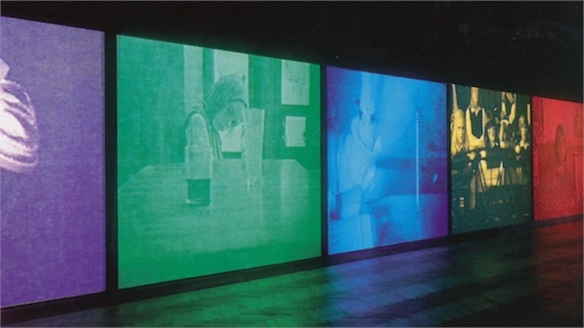 Susan Hiller Susan Hiller Cited as one of the most influential female artists of the past century, American Susan Hiller (b. 1940) was the subject of a recent retrospective at Tate Britain (February 1–May 15), highlighting her selective and powerful use of colour during her career to date. Choosing to work with a limited palette and often re-colouring photography and film, Hiller uses hue to alter perception and heighten the impact of her work. 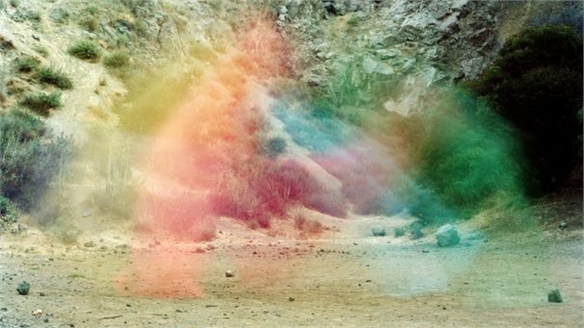 Stylus explores the London-based fine artist’s evolving relationship with colour. Vivid Landscapes Vivid Landscapes As the earth’s surface evolves and mutates, photographers specialising in the fields of science, geography and art are documenting the changes to the landscape, in a bid to highlight the awesome beauty of the planet. 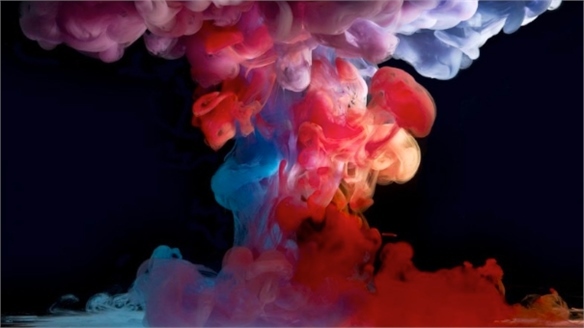 Aedi: Peter & Clara by MadeOn Aedi: Peter & Clara Italian video production studio MadeOn has worked with Seahorse Recordings musicians Aedi to produce a video depicting swirling inks suspended in water for the track Peter & Clara. 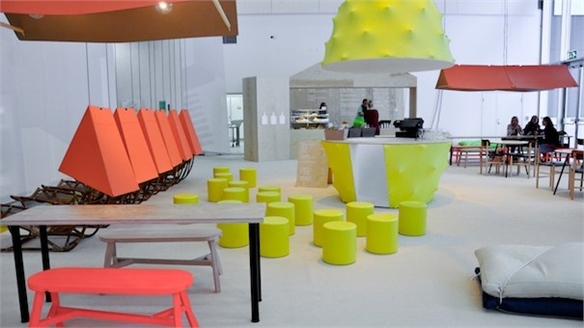 February: Fluorescent Details February: Fluoro Details Stylus highlights the most popular design styles and trends across February, with a focus on the month's design fairs. Alberto Seveso Alberto Seveso In a series titled Medecina Rossa + Sequenza Blu/Verde the artist and illustrator Alberto Seveso drops thick, coloured inks into a fishbowl of water. 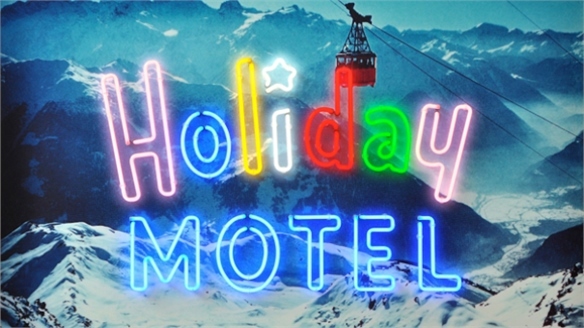 Postcards from Vegas Postcards from Vegas The bright neon lights of Las Vegas are brought to London’s FAS Contemporary gallery next year by art duo Rob and Nick Carter.